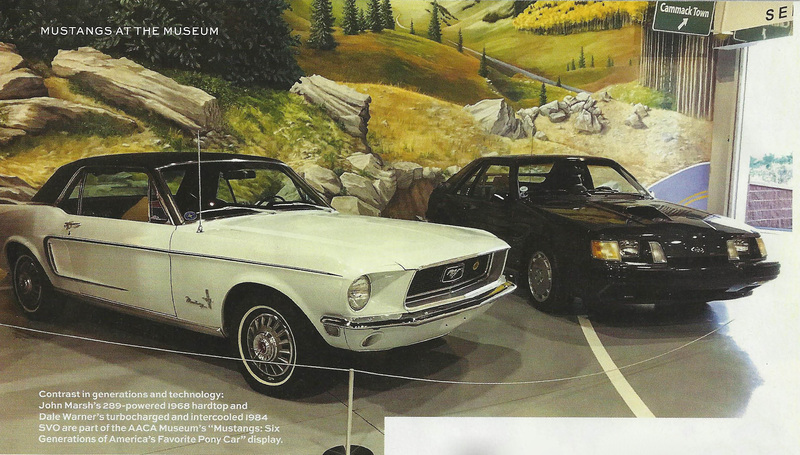 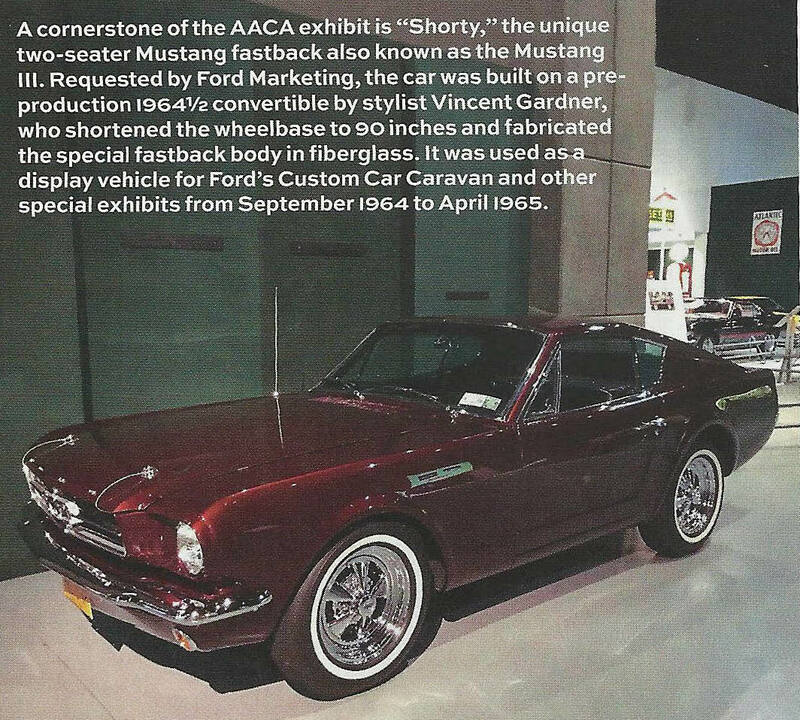 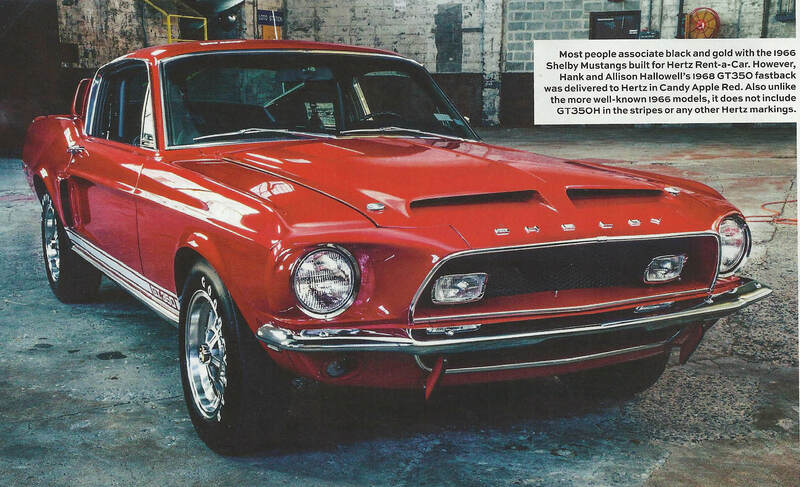 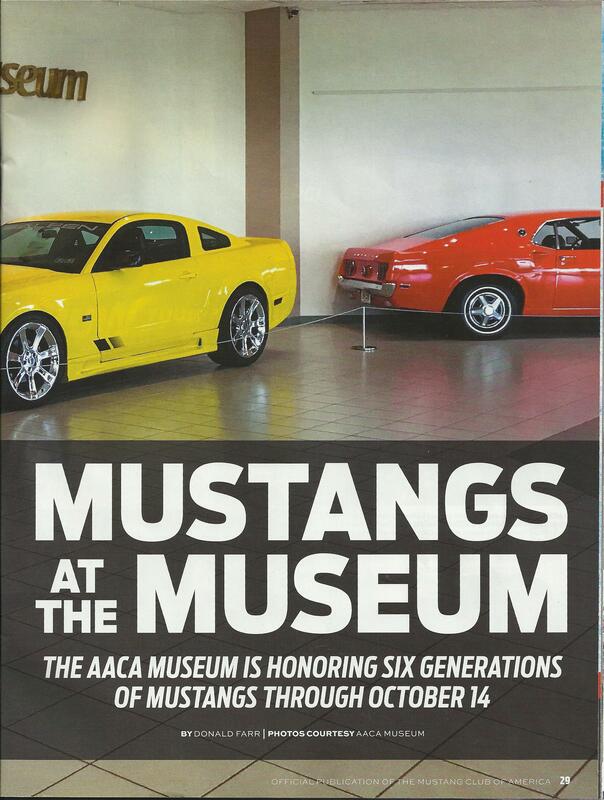 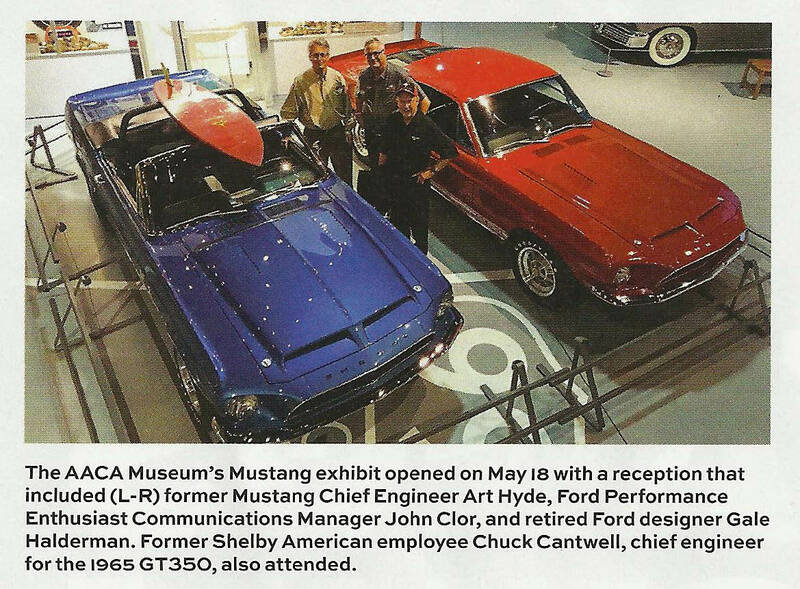 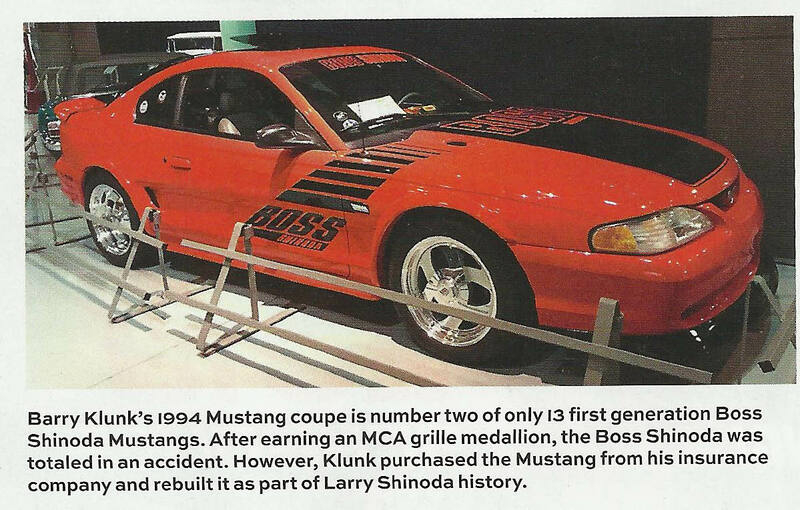 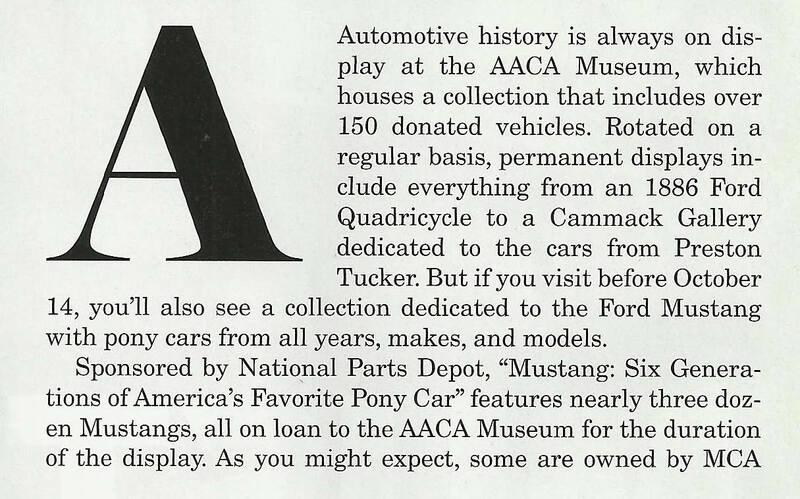 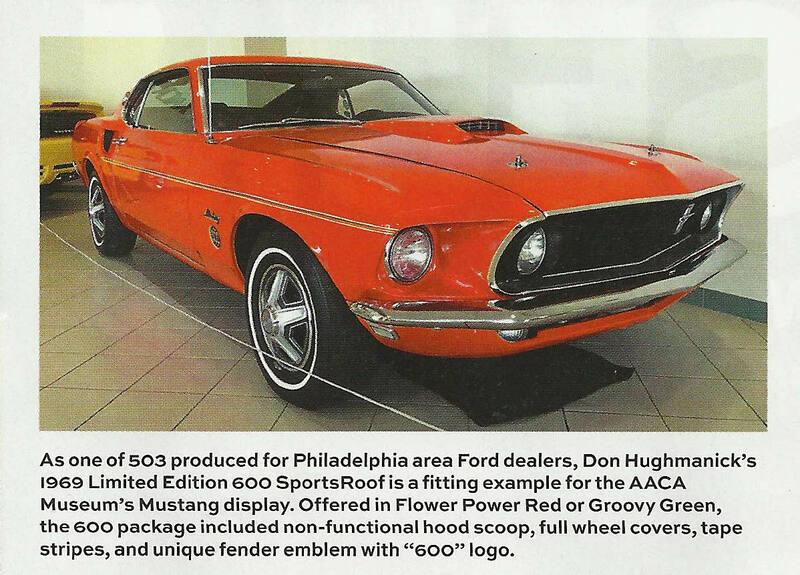 A cornerstone of the AACA exhibit is "Shorty,", the unique two-seater Mustang fastback also known as the Mustang III. 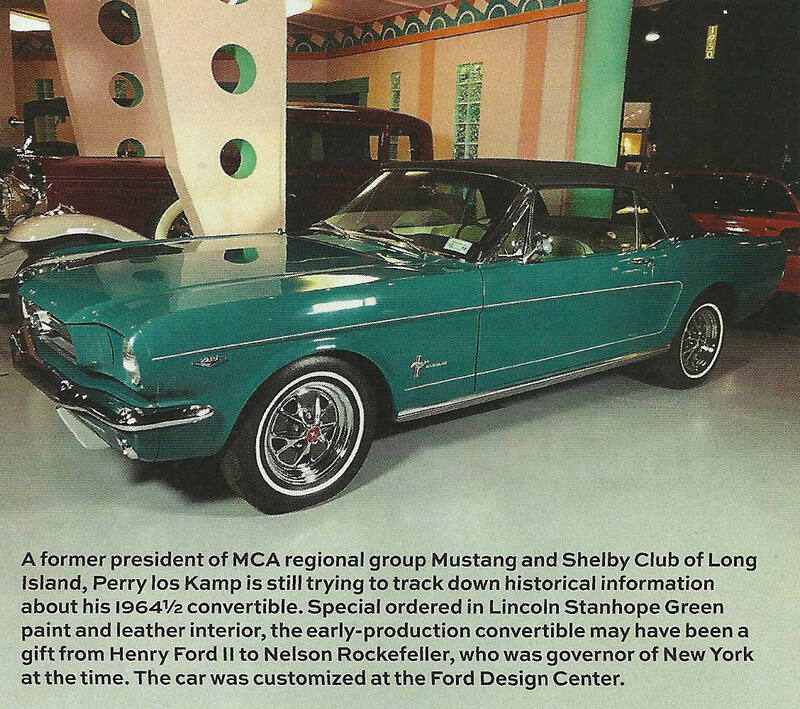 Requested by Ford Marketing, the car was built on a pre-production 1964 1/2 convertible by stylist Vincent Gardner, who shortened the wheelbase to 90 inches and fabricated the special fastback body in fiberglass. 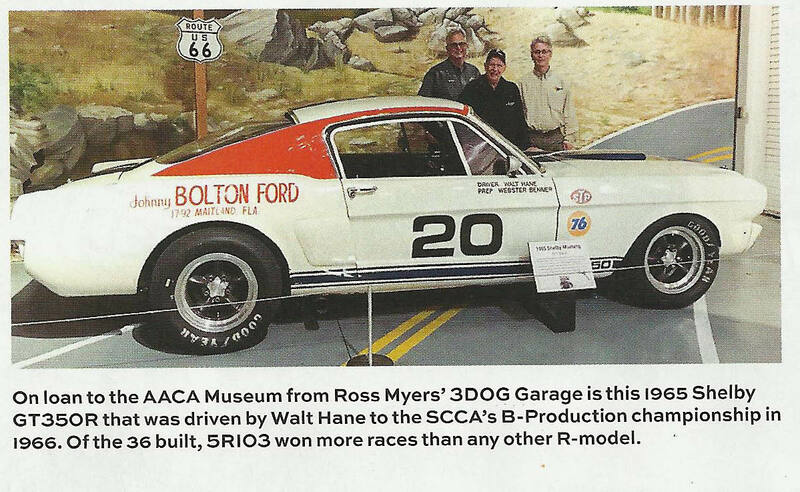 It was used as a display vehicle for Ford's Custom Car Caravan and other special exhibits from September 1964 to April 1965.